Now thanks to YouTube and streaming services you have almost all the music in the world for free (or for pennies), it’s time to bring your musical experiences to a new level - and, by the way, pay your idol’s bills. NuPlays.com lets artists and labels easily sell or share their music with extraordinary musical offers: merchandising, services and even online concerts! With NuPlays.com artists can sell music, but also use it to attract fans to all kinds of real and virtual gadgets related to their creation. In this new approach and business model for the music industry NuPlays helps fans experience more – and artists, both signed and unsigned – to make money for their living. 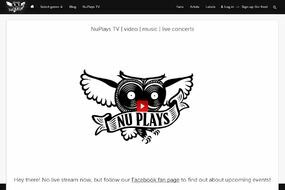 NuPlays is the first platform designed to cooperate with both independent artists and signed artists. The reason behind this is very simple: it’s not important if the artist is signed or not – the most important thing is that fans just want to have easy access to music. Streaming services are great, but there’s so much more that artists can offer to fans: concerts, live or online shows and other experiences related to music. True fans buy albums and t-shirts not only because they want to listen to music (or have something to put on), but also because they want to express their adoration for their idols. In the era of renting music we somehow lose it – and with NuPlays.com we want to bring this joy back - says Paul Soproniuk, CEO and co-founder of NuPlays.com. - Moreover, as an independent service we want to make the deal fair for artists as well. There are no miracles and if you pay few bucks for all the music in the world it's more and more difficult for artists to make living. In NuPlays we remember to treat artists fairly: all of the intellectual property belongs to their owners, and it’s them who decide how much things cost. We've even given up upfront payments for access to the platform and all the services are free: we only take a cut if the artist sells anything to fan. 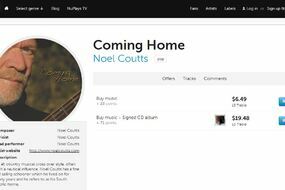 NuPlays allows artists to create new sources of income – products and services that will drive (or substitute) the sales of albums. The trick is simple: if people search for music, artists should show them as many possibilities to enjoy and experience their music as possible. That’s why NuPlays is a good place for fans, for independent artists (who can use it as a direct-to-fan platform), but also for labels, as they can use it to build a new revenue stream by integrating different services scattered over internet in one place. Streaming concerts online is a great way to deliver more experiences to fans. And it can actually help artists sell live shows. Bundling a digital download with an "online live show" is a good incentive to pay for the music, because watching live streams is so much better than watching one from DVD or YouTube. It’s simple - live makes it much more fun! Although there are other services for streaming video, NuPlays' offer is unique because artists can sell downloads and streams of concert in one service (even bundled). And with the free Facebook app sharing it with fans is a one-click task. To help labels manage multiple artists, NuPlays have introduced “Label mode”. 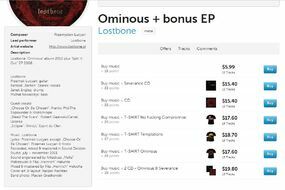 Now labels can create “manager account” for each artist or band and then let the band manage selling merchandise or special offers on their own by adding them to existing album. 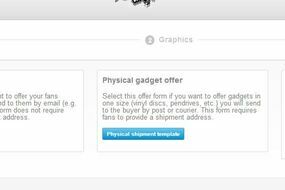 In this mode artists decide if the offer is bundled with the electronic download or not or set up the notifications to separate e-mail address so that the band can handle and ship the ordered offers (may it be CD’s, t-shirts, vinyls or services – the platform is very flexible and allows you to sell literally anything). Whenever a fan buys any offer related with the album, money goes right to seller’s account. 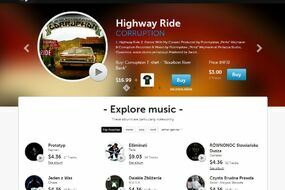 The new design helps to promote artists and also helps fans to discover music. The new features, like “Send for a review” option to “Add album” wizard, allows a band to send album (free of charge) to a network of radio presenters. Albums with positive feedback will be presented in Explore music section. Also a new, Staff picks section for each genre appeared, to show artists that NuPlays staff like the most. 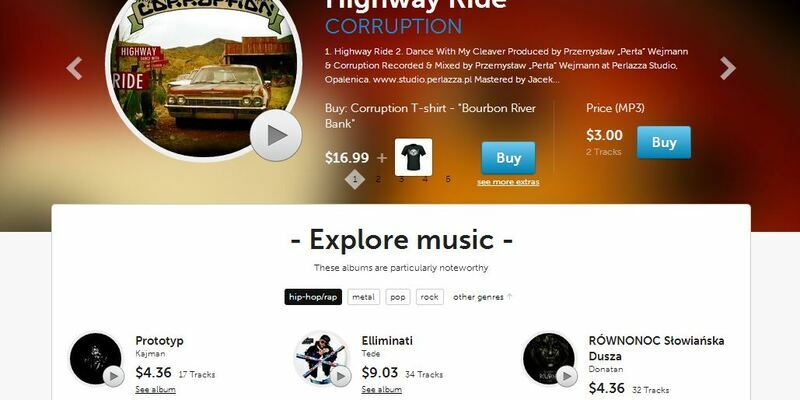 With the new design it’s more intuitive for fans to see what they can buy with album.